Anytime I'm feeling schlumped I look through my inspiration folders and BAM! - I feel better. Like today, I'm like, what on earth can I blog about? Sometimes I feel like it's not worth blogging if I can't blog big. Hopefully I'll have something more exciting to share tomorrow (right Dald!?!?). But today, I'm sharing a peak into my fashion folder. I love Ana Paquin's messy side knot. So easy. So carefree. Good for curly hair like mwah. Loooooove this girl's hair. Once my hair is long enough, this is how it will look, believe you me. 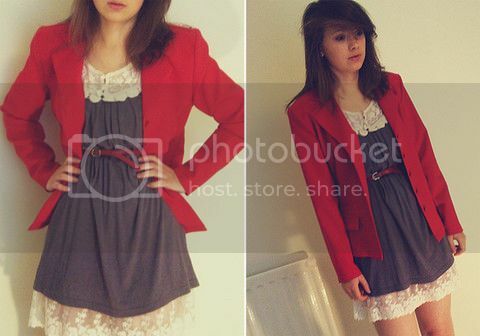 Cuuuuute outfit. I never woulda thought to put these things together. 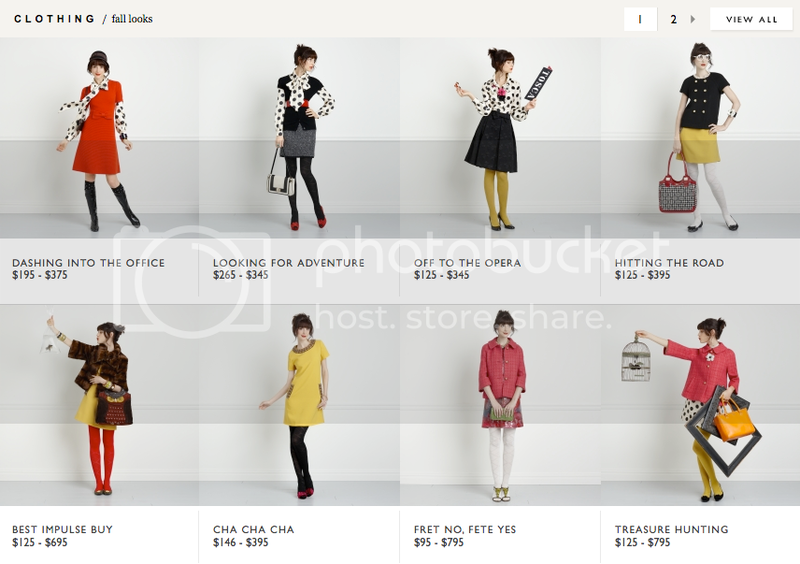 I find tons of cute outfits on lookbook. Kate Spade's release from awhile ago - WOW! I love that color of yellow. 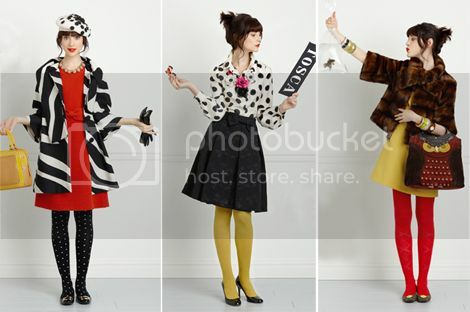 In fact, I love ALL the outfits. I'd wear each and every one. I don't know where I'd wear them to, but nevertheless, I still want them all. 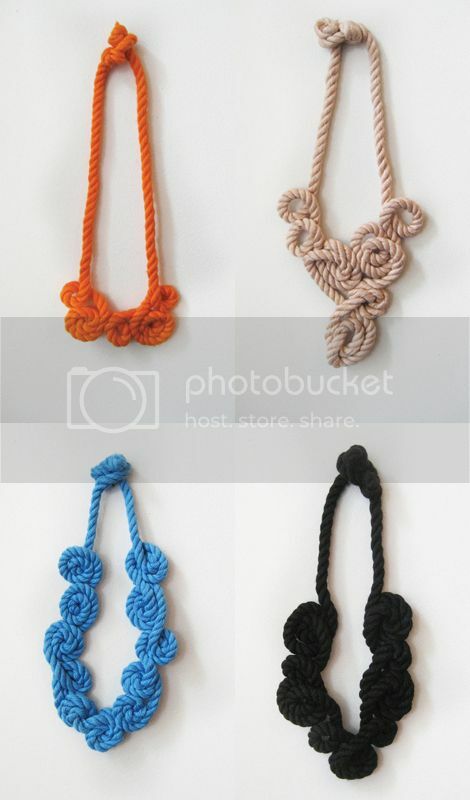 Knotty necklaces made from rope. Cool cool. More stellar outfits. Have to throw a cardigan on the first two, but that's manageable. Love the vintageness with modern pops of color. 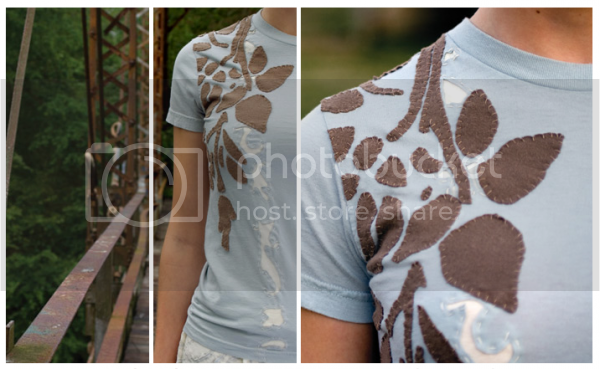 I was sooo inspired by this shirt I did something like it to one of my own shirts. But it's being published in the Feb/Mar issue of Simply Handmade so I can't share it quite yet.... Neat though right!? I fancy those black capris and boots on the right outfit. Not to mention her hair-do - medieval and oh so pretty! Do you read the Sartorialist? Here's a hilarious comic (or whatever this is (It's a flow chart! Thanks Nancy!)) I found that tells you how to get your picture taken by the man behind the camera. And last but not least, pretty pretty necklaces by J. Crew (I think). 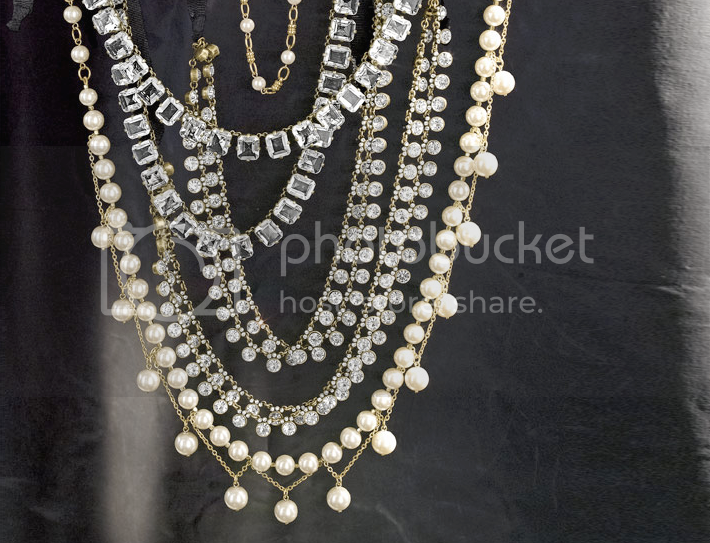 I'm trying to convince my mom to wear big bejeweled necklaces. They're so hot right now! Malm - if you haven't worn that chandelier necklace from Macy's yet, send it my way puhleaze! So anyways. There's a glimpse into things I'm digging in the fashion world right now. TTFN. 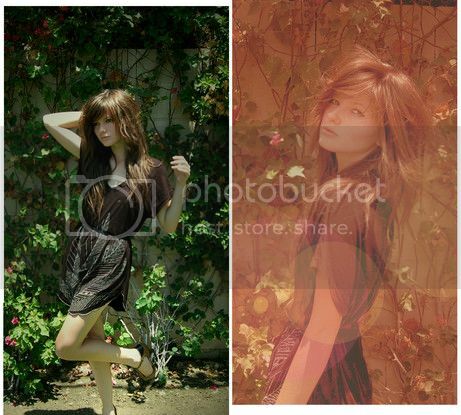 Love this look into your inspiration folder! I love Kate Spade and the Sartoralist flow chart was hilarious. I totally agree boys clothes look cute on girls. I love the tie thing-e :) CUTE POST! i love the kate spade. i would be content to have that be my wardrobe. and yes, brilliant idea to organize my inspiration folder! the problem with you movin far away is that i can't see what you are wearing everyday... so i know what to wear. thanks for the update! serious fashion ugliness is happen in my life currently! Could your surprise possibly be the new google phone I heard about on the news today? If so, so cool. I'd like curly hair. Just a little bend maybe...? You know so it could do more than just sit there on my head all straight and I could wear my hair like that girls, or yours.. Either one will do! Ha. Love this look into your inspiration folder!